Tourists have heard much about Antalya, the coastal city on the Mediterranean known for its numerous Blue Flag beaches as a major gateway to the Turkish Riviera and a haven for swimmers. What's less known about the city for tourists are the high-class hotels just a few steps from the refreshing Mediterranean Sea that make summer vacations more tasteful with special themes. 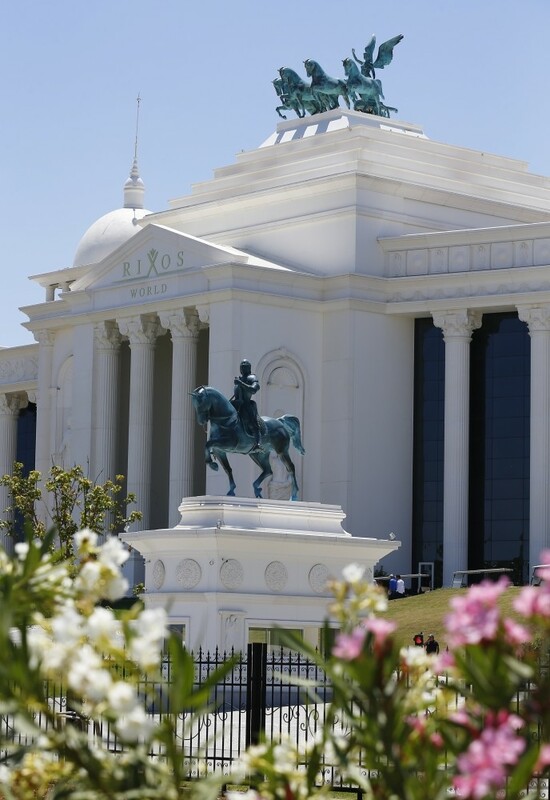 In particular, the districts of Belek, Kundu and Kemer are the three top summer destinations in Antalya, where holiday resorts offer high comfort and service, notable for their unique architectural appearance. With the rising number of holiday resorts each year, the enterprising implement creative strategies and make more investments to be one step ahead in the tourism industry. To distinguish themselves from the competition, holiday resorts have been designed to look like historic cities such as Moscow and Venice via miniature versions of popular landmarks. 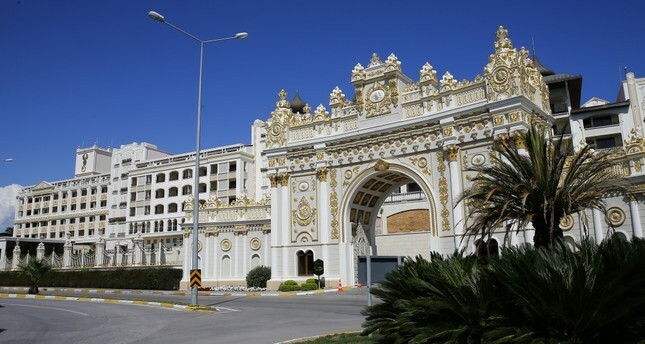 The Mardan Palace, known as the most luxurious hotel in Europe and the Mediterranean in its first year of operations, is situated in the district of Lara. 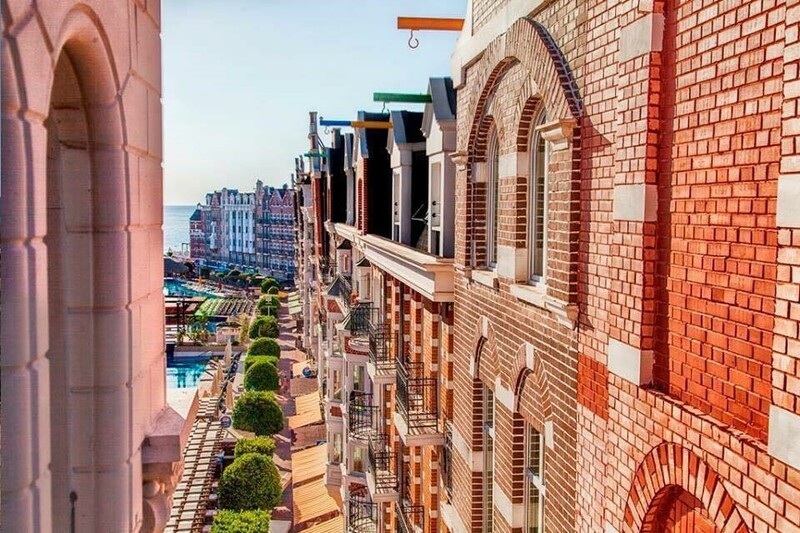 The hotel's architecture is reminiscent of Istanbul's historic Dolmabahçe Palace and Kuleli Military High School, while certain parts of the hotel feature miniatures of the Galata Tower and the Maiden's Tower. The hotel entrance makes visitors feel as if they are entering Dolmabahçe Palace. Another hotel that stands out for its architectural beauty in Lara is the Titanic Resort Hotel, which was designed to emulate the RMS Titanic that collided with an iceberg in 1912. With the outdoor pools surrounding the hotel, the building looks like a giant ship. For travelers who prefer a vacation in Antalya's Kemer district, the Queen Elizabeth makes them feel as if they are staying in a ship anchored at sea, while the Concorde de Luxe Hotel is reminiscent of the most famous and fastest airplane in history, the Concorde. Also in Kemer, the Orange Country Resort Hotel gives visitors a taste of Amsterdam. Orange Country Resort Hotel Marketing Manager Melike Konuralp said that the architects visited the Netherlands before construction began, adding that "The hotel's architectural design was inspired by traditional Volendam houses as well as restaurants and cafes in Amsterdam." Open since 2006, the Adam&Eve Hotel in Belek uses colors like "white" to symbolically portray the hotel as a haven, where dozens of mirrors surround the hotel and symbolize the fight against loneliness. If a historic atmosphere is what you are looking for, the Antique Roman Palace, a luxury hotel surrounded by sculptures, portraits and antique art in Alanya, might be the place for a vacation. In Kundu, the Venezia Palace Deluxe Resort Hotel is reminiscent of St. Mark's Square in Venice with versions of the St. Mark Basilica, the Rialto Bridge, Caffe Florian, St Mark's Campanile and Palazzo Ducale. For Asian flavor, the Siam Elegance Hotel, named after ancient Thailand, offers tourists a true Thai concept. Aside from the hotel's interior design, the restaurant menu features exclusively Thai cuisine. The Topkapı Palace Hotel is where travelers find the best Turkish culture. Inspired by Ottoman culture, there are replica versions of the Mecidiye Mansion, the Sultan Ahmet III Fountain and Adalet Kulesi (Justice Tower) in the hotel complex. Professional Hotel Managers' Association (POYD) President Ali Kızıldağ told Anadolu Agency (AA) that world famous architectural teams designed many of Antalya's hotels, pointing out that special architectural projects brought 10 to 20 percent of all investments to the region. "Architecture is important, making hotels more attractive; thus, more people promote it on social media. This is why we prioritize it," he said. 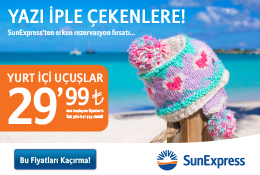 With its golden sands, azure skies and deep blue sea, Antalya promises to make summer vacations memorable for all.